The aim of all education, undoubtedly, is the attainment of human excellence and perfection, not just in any field of knowledge or activity, but life in totality. This means nurturing of the qualities of head and heart in a way congenial to the growth and development of oneself and others around him. In practical life, this has to be translated as qualities of truthfulness, righteous living, purity in personal life, self-confidence, integration of body, mind and intellect, love and compassion towards all living beings. Practicing Yoga in the true sense will support this. Ministry of Human Resource Development (MHRD) through National Council of Educational Research and Training (NCERT) taking multi dimensional initiative to promote Yoga in curriculum and transaction in Schools. ‘National Curriculum Framework 2005’ (NCF-2005) highlighted yoga as an essential component which contribute to the physical, social, emotional and mental development of a child. Yoga has been integrated as an essential component of Health and Physical Education. The aim of yoga thus, is to encourage a positive and healthy lifestyle for physical, mental and emotional health of children. Yoga helps in the development of strength, stamina, endurance and high energy at physical level. It also empowers oneself with increased concentration, calm, peace and contentment at mental level leading to inner and outer 4 harmony, therefore Yoga Olympiad has been planned. 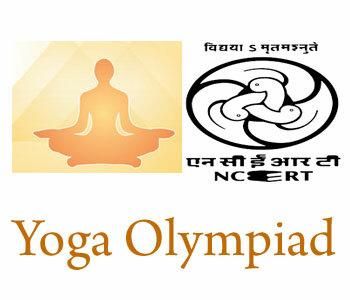 The theme for the Yoga Olympiad will be Yoga for Health and Harmony. To develop an understanding of yogic practices and apply this understanding accordingly in one’s life and living. To develop a healthy habit and lifestyle in children. To develop humane values in children. To develop physical, emotional and mental health through yogic activities. To develop harmony with the nature and universe. Yoga: A Healthy Way of Living for Upper Primary Stage. Yoga: A Healthy Way of Living for Secondary Stage. These books are available in Hindi, English and Urdu.